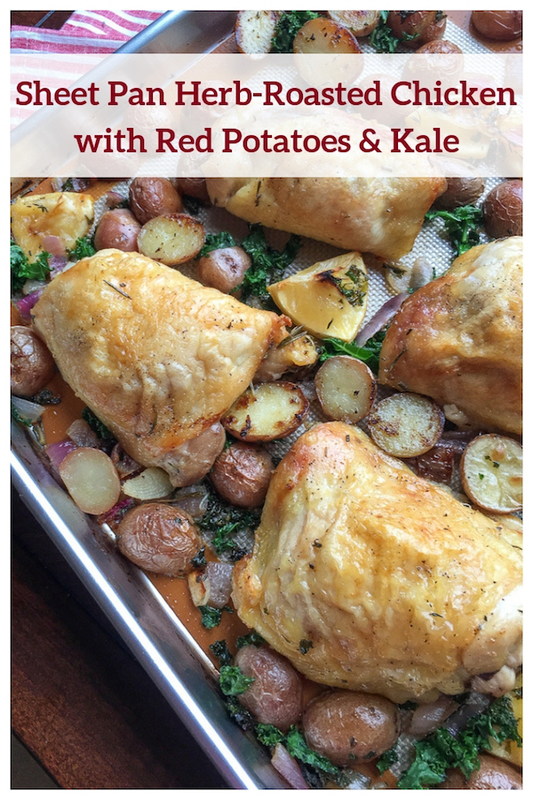 The whole family will love Sheet Pan Herb-Roasted Chicken with Red Potatoes & Kale! This hearty sheet pan recipe calls only 10 minutes of prep work! Sheet pan meals are terrific because they’re relatively simple and they don’t dirty multiple pots and pans. A piece of parchment paper or a silpat cooking mat makes cleanup of this dish super easy. A mere 10 minutes of prep work is all that’s needed to get this dish ready to go into the oven. The whole family will be thrilled with the flavorful meal that results from this recipe. 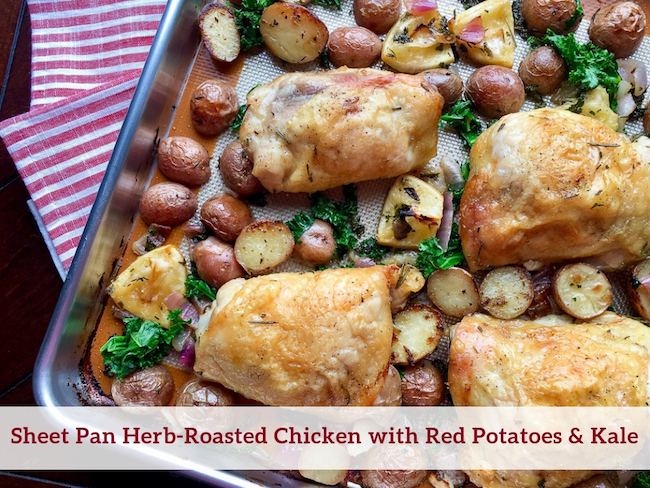 If possible, it is recommended that you use a three-quarter size sheet pan instead of a standard 13” x 18” half sheet pan for best results making this recipe. This will allow the vegetables enough room to be spread into a single layer without overcrowding, while keeping all ingredients to one single pan. 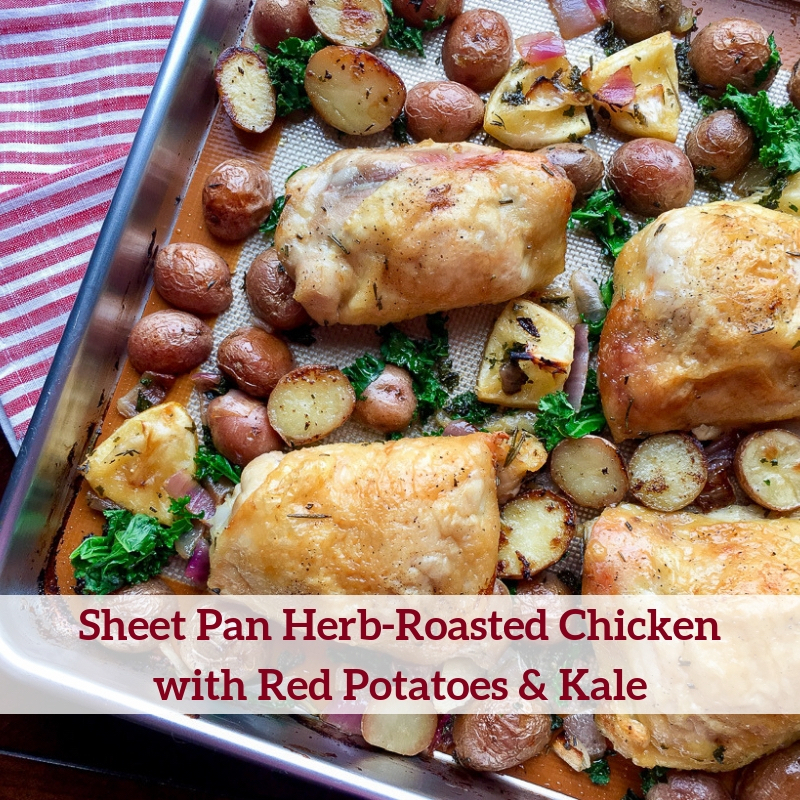 Keeping all ingredients on a single sheet pan is important in this case because the juice from the chicken and lemon wedges will mingle with the fresh herbs to infuse the potatoes, onion, and kale with incredible flavor while cooking. Line a large, rimmed baking sheet with parchment paper or a Silpat baking mat and set aside. Place the potatoes, red onions, minced garlic, olive oil, and fresh rosemary into a large glass mixing bowl and combine. Generously season with salt and black pepper, to taste, and arrange the veggies on the prepared baking sheet in a single layer. Roast in the pre-heated oven for 30-35 minutes, or until the veggies develop nice color and the chicken is nearly done. Remove the baking sheet from the oven and stir in the fresh kale. Return the sheet pan to the oven and roast for another 10-12 minutes, or until the chicken is completely cooked and the kale is wilted. Always cook meat to temperature, not by time. 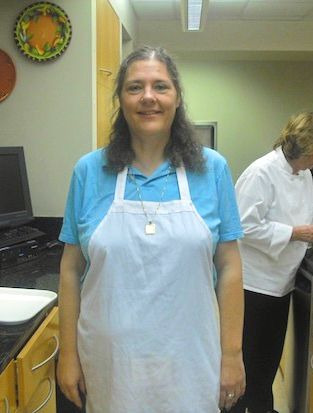 Actual cooking time will vary based on a number of factors, including internal starting temperature, individual oven variations, size and thickness of the meat, what else is in the oven while cooking, etc… The minimum safe recommended cooking temperature for chicken thighs is 165°F (74°C). Remove from oven and transfer the chicken and potatoes to a serving platter and loosely cover with foil.